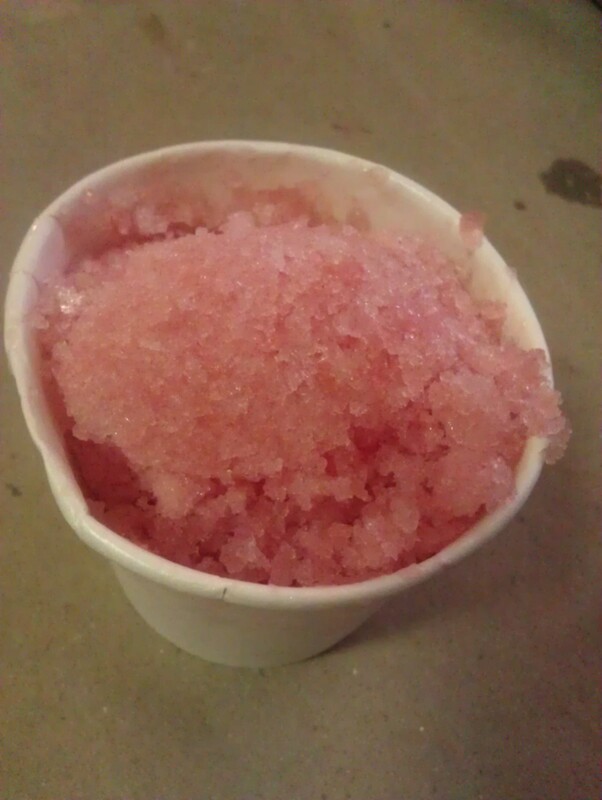 Watermelon (No Sugar Added) Snow Cones | Who Are You Calling Crafty? 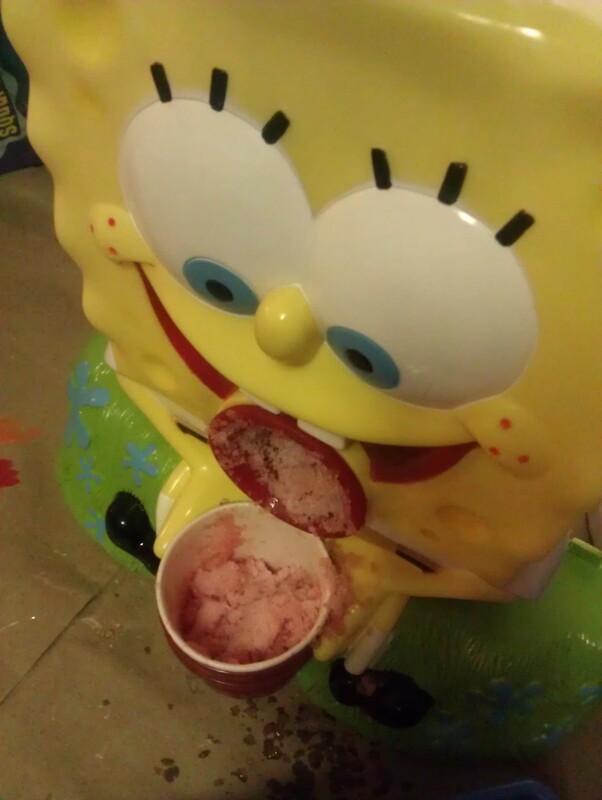 Several years ago my friend got the princess a SpongeBob Snow Cone Maker. I cringed – I thought why would someone do this to me, with my fondness of Blue Raspberry Snow cones that I can now make at any time, all I could say is why. It has been on the top shelf of our pantry collecting dust for close 3 years now. We stopped by the local farmer’s stand last week and came home with a GIANT watermelon (one that no matter how you eat there is still more). I told Jeff we should try and make Snow Cones. He pureed some of the watermelon in a blender and poured it into ice cube trays (standard trays) and froze the ice cube trays. The watermelon was so sweet that we did not add any sugar to the puree, it wasn’t needed. 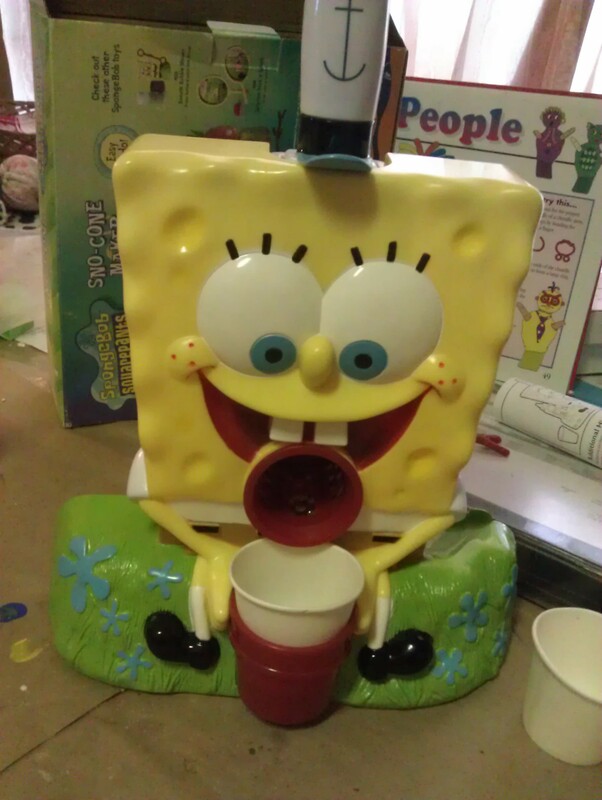 Blowing the dust off the box, I put SpongeBob together. It is very similar to the Snoopy Snow Cone Maker from my childhood. Look at that yummy hot weather (NO SUGAR ADDED) dessert! As you can see the Snow Cones was huge hit! To fill the small bowl it took 2 ice cubes. Sweet, cool and very refreshing! 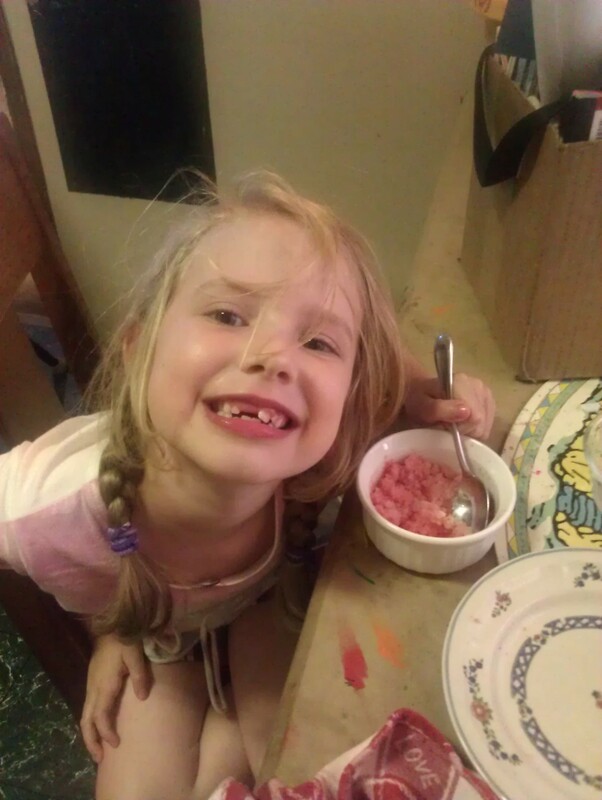 The snow cones were a huge hit and I was happy that my kids were not bouncing off the walls from all the sugar. I was informed we need to make these all summer long, so SpongeBob is officially off the top shelf of the pantry and is in current rotation. Oh, I remember that Snoopy sno cone machine! 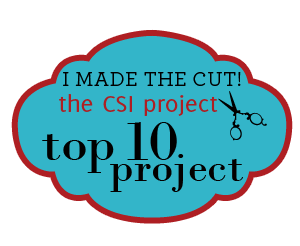 Thanks for the fun flashback and for joining the CSI Project Challenge!